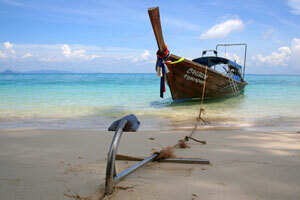 Located 6 miles from Tonsai Village, this little corner of paradise is accessible only by boat. 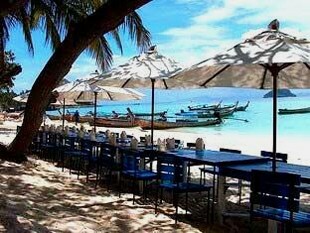 Phi Phi Holiday Inn is located on Laem Tong beach, probably one of the most beautiful beach of Phi Phi, facing a turquoise sea. 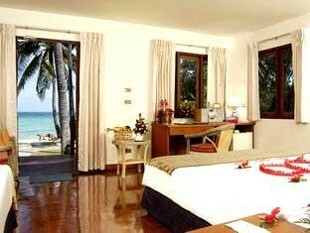 The 77 bungalows are scattered in a luxuriant garden and all benefit from air conditioning and a minibar (two free bottles of water per day). 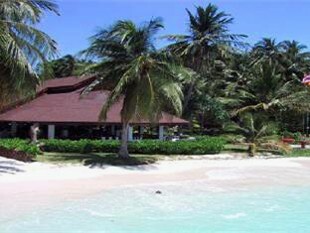 Beachfront Bungalows are directly facing the sea, few steps from the water. 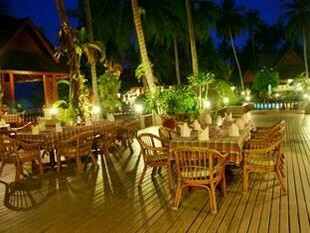 The hotel has a spa (Bu Nga Raya Spa), a beautiful swimming pool and two restaurants (Tai Rom Prao and Cha-Bah Beach). 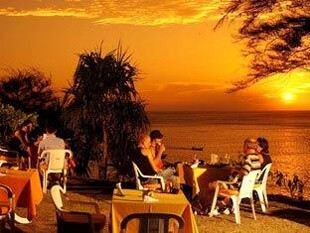 Sunset Bar awaits you in the evening to watch the sunset. 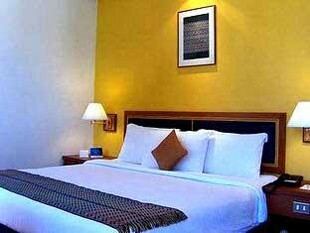 The hotel even has its own PADI 5 stars diving center (H2O Sportz), a good opportunity to discover the amazing waters of Phi Phi, and why not, get a Scuba Certification Course. In addition, the hotel offers free snorkeling equipment for its customers.